Balmuda Toaster $414.60 US via Amazon.com. Yes they have stock. The Balmuda Toaster is made in Japan.Years back the Japanese learned to be innovative. At one time Radios and Televisions were produced in the USA. The Japanese created better, more functional and easier to use products. Today, you will not find a USA made Television in any America home. 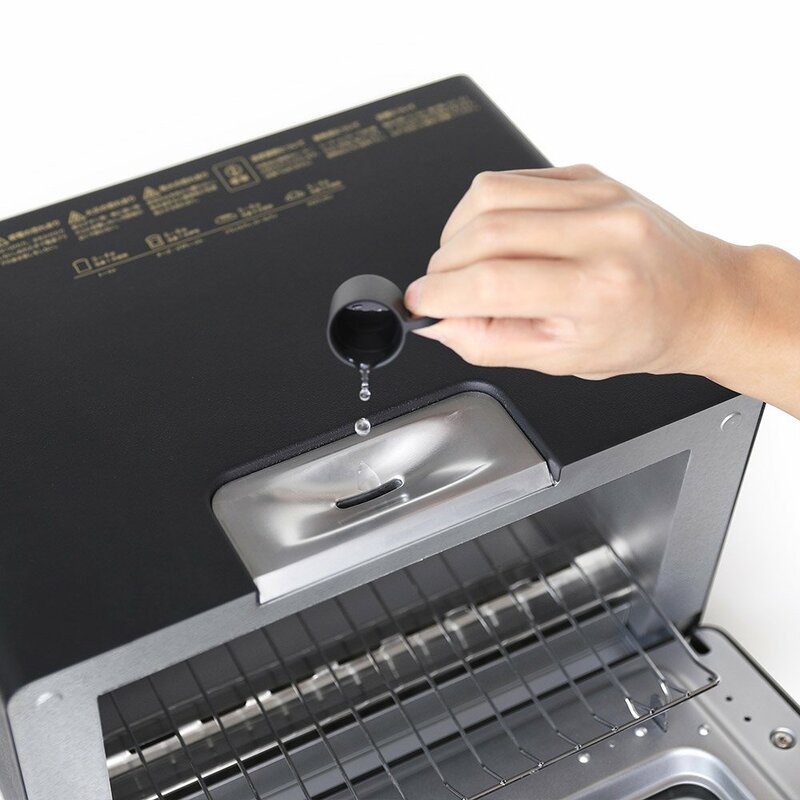 The Balumda Toaster is another example of Japanese innovation. There is a three month waiting list at Japanese retailers, who sell this item. Why? Because it is likely the best Toaster available. 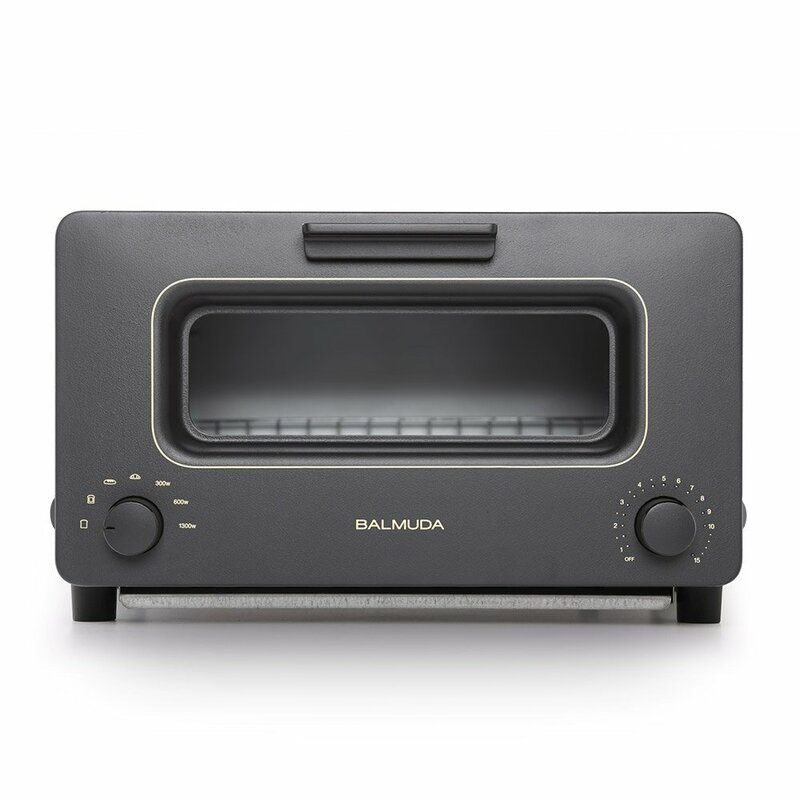 The Balmuda Toaster uses both Steam and Low heat, which does not dry out the item being toasted. Then at the very end the heat is raised to crispen the outer surface. In Japan they do not sell the pop-up variety of Toasters. Their Toasters lay flat and have a door and trays. That makes more sense since it makes it easier to clean. By using Steam while toasting an item on low heat the item comes out smelling and tasting like it just came out of Bakers oven. I was surprised (ok maybe not) that one could acquire one via Amazon.com. Amazon is the best thing that ever happened to retail. Great product variety. Great prices. A trusted retailer. The Balmuda Toaster is being sold by ORIDURU from JAPAN via amazon.com. Shipping is apparently free. ORIDURU from JAPAN has a 100% positive rating from past purchasers. The price is not cheap. But then this apparently sells for 22,900 YEN which is a huge amount for a Toaster, even in Japan. Yet their production is sold out. In Japan, one would have to wait 3 month to get one. So the price at Amazon.com is $414.60 US for the Black coloured model, as of today (subject to change without notice by Amazon). Yes they have stock. My suggestion would be to grab one, your morning toasted Bagel or Croissant will taste like you just brought it home fresh from a Bake Shop. Click on this Link to visit amazon.com to visit their page for the Balmuda Toaster. Click on this Link to visit the Gurashii website to read their review of the Balmuda Toaster. UPDATE May 06 – Sale has expired (on May 05) and the price has returned back to their normal selling price. 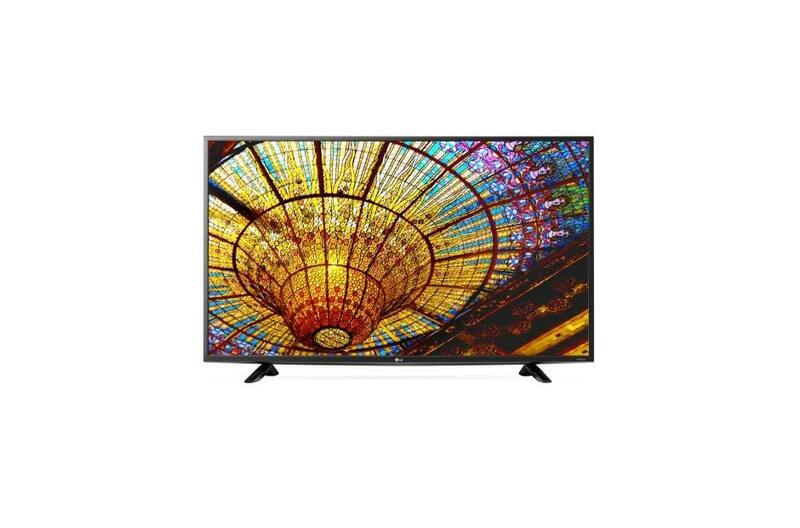 Looking for a new Smart LED TV? Looking for a sale, to save money? Just drop by your local Canada Computers store. Till May 05 2016, you will get $450 off the regular low price of the LG – 43UF6400 43″ 4K Ultra HD Smart LED TV. The sale price is listed as $599.00. This is a 4K TV, meaning it has a resolution of 3840 x 2160 pixels. That is four times the resolution of a Full HD TV. This LG 4K Smart LED TV also uses an IPS LED panel. That means that the view will be clear to everyone in the room, not just the person in the centre (as would happen with a TN panel). An IPS screen will also display better colour clarity, compared to a TN panel. If you will be watching sports then look for a higher refresh rate than 60hz. This LG43UF6400 has a refresh rate which is double 60hz, which means 120HZ. The higher the refresh rate the smoother any movement on the screen and sports usually will have lots of movement on the screen. 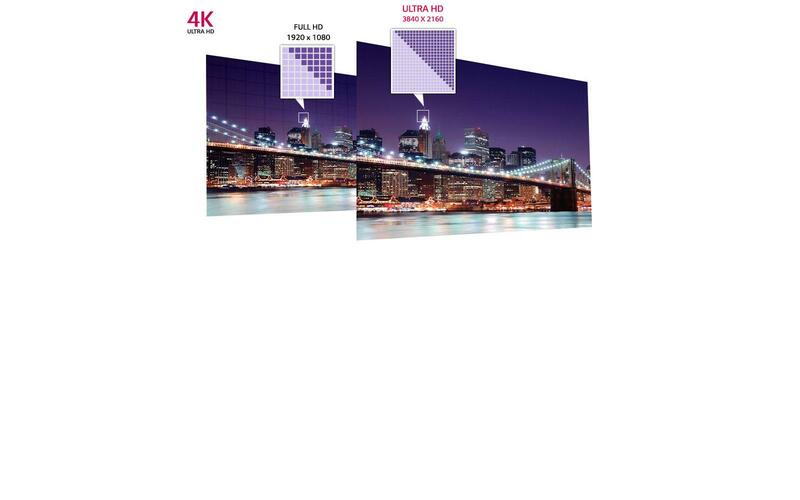 This LG 4K Smart LED TV has 2 HDMI inputs. 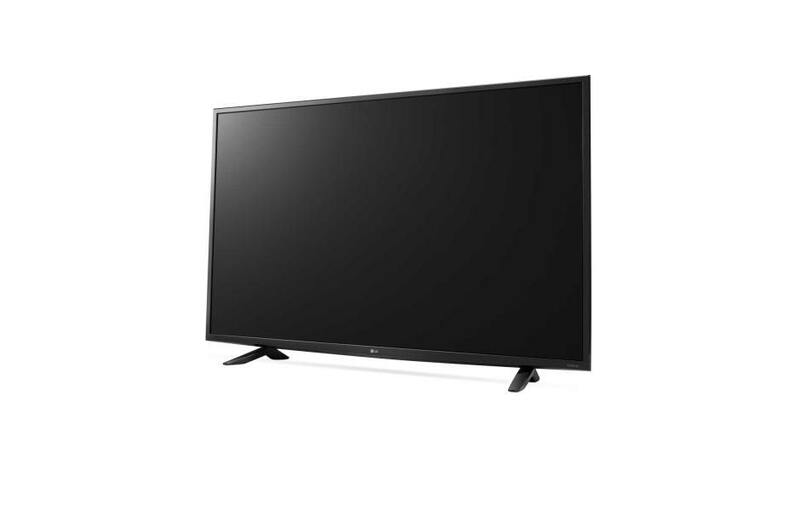 Click on this line to visit the Canada Computers website to view this sale on the LG43UF6400 4K Smart LED TV. Click on this line to visit the official LG website to get more specs on this TV. Remember that the $450 saving ends on May 05 2016. Quantities may also be limited, so check store stock levels. Click on this to read actual User Reviews (on Amazon.com) of this great LG 4K Smart LED TV. Uniquely Toronto saves you, our readers, money. PS. When you make your purchase, please let them know that you heard about this deal on Uniquely Toronto. Then watch the Sales Rep’s face “go blank” and ask “Huh? What is Uniquely Toronto?”. Disclaimer: Any Trademarks mentioned in this post are owned by the respective Trademark owner. There could be unintentional errors or omissions in this post. Always refer to the official sites to confirm details and any ongoing changes or updates. This post is subject to change without notice. Any offers mentioned in this post are also subject to change without notice. We are not affiliated with nor have any relationship with Canada Computers beyond “us shopping there”. This post is here because we feel that this item offers our readers the opportunity to save money on a great product. UPDATE May 04 2016 – FYI this sale has expired Apr 06 2016. As stated: Any prices and or offers are subject to change without notice. Always check with FRESHCO for price and availability. Time again, to save some money. FESHCO has Maxwell House Instant Coffee on sale at $1.97 for a 200g jar, from Thurs Mar 31 till Wednesday Apr 06 2016. That is even cheaper than before (last sale was $2.44 per 200g jar). Many brands of Coffee are now using packaging smaller than 200g. I guess I’ll be getting another case. Hey, I need my morning coffee. Yes, I could make real coffee but not as fast as Instant Coffee. FRESHCO sales on Maxwell House Coffee is listed as good from Thurs Mar 31 till Wednesday Apr 06 2016. Any prices and or offers are subject to change without notice. Always check with FRESHCO for price and availability. UPDATE Jan 03 2016: I had killed this post (originally posted around mid Dec 2015) figuring that the sale was over. Dropped by FreshCo (Dixie & Dundas in Mississauga) today (Jan 03 2016) and the Maxwell House Coffee in 200g jars is still on sale for $2.44 each. Check with the store how long this will last. The location that I went to had “lots” of stock. Since I don’t own FreshCO, the sale price noted above, is subject to change without notice. Check with your local store for the current price. I need my morning coffee. Instant works fine. Tonight I went to Freshco (large grocery store chain in the Toronto area) to get something and noticed in their flyer that Maxwell House Instant Coffee was on sale for $2.44 Canadian, for the 200g jar. The flyer says that the $2.44 price is less than half price. I also noticed that coffee from other brands now comes in jars “smaller” than 200g. So I picked up a case of 12 jars. Should last me till the next sale. Click on this line to view the current FreshCo Flyer. New Motto: Uniquely Toronto saves you money…. Just posted on our sister site F-Stop.I’m not allowed to cross post duplicate posts.If you might be interested in the special low price for Corel’s AfterShot Pro, please visit our F-Stop WordPress Blog by clicking on the following link: AfterShot Pro speical price post on F-Stop.